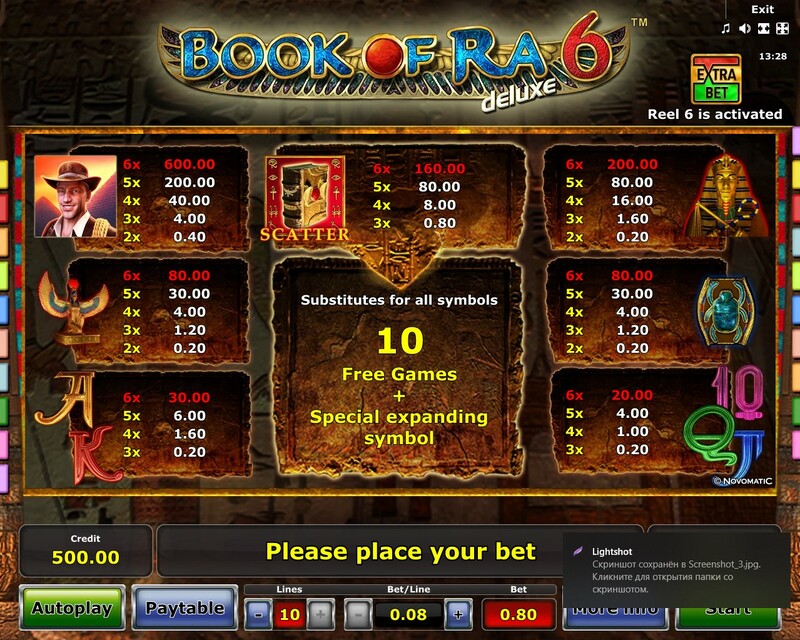 Book of Ra 6, which was created on the 31st of August 2015 offers absolutely wild payouts, beautiful interface, and glorious graphics. We can’t wait to tell you all about it. 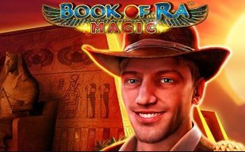 Book of Ra 6 is the latest and greatest installment in the series with everything upgraded with the best experience possible in mind. The graphics are absolutely stunning. We’re sure they are the best ones we have seen by far – easy. With what seems to be Indiana Jones’s best appearance on screen and some of the best CG known to man, this epic journey is firmly set to be the experience of your lifetime. This is a video slot with some intense work done on the interface, with 5 reels and 10 paylines, plenty of retriggers, and a few expanding symbols across the board you’re bound to see soon. The RTP is an even 96%. Select the bet with a minimum of 0.2 Euros or go large. The Book is the Scatter and The Wild. 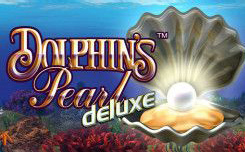 Also, look out for the expanding scatter during those 10 Free Spins you get when you get lucky. 6 Book symbols get you 200x your bet. 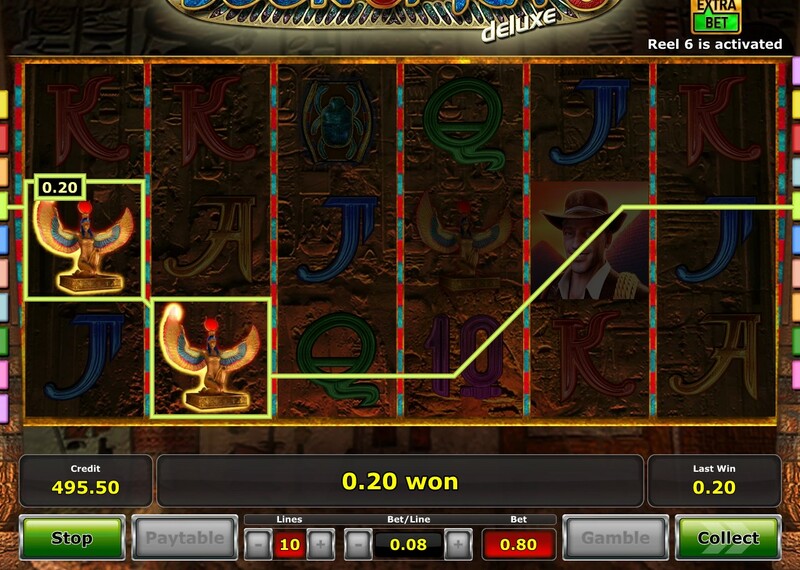 The Scarab multiplies your bet by 100x when you get lucky. As you need 6 symbols to get the max, you can end up with a staggering 7500x of your bet if your Explorer hits the right spot. Explore the 6th reel, crack the whip, get lucky, and tell your friends about this fantastic game. There is a huge potential for wins here, but the game also can come up with long spells of bad luck, so make sure you manage your bankroll carefully. At other time it seems like a medium variance game, giving out average payouts regularly. Be on the lookout. So you pretty much already get the picture if you have seen the screenshots – or even if you have played the previous installments of the game. The Ancient Egypt scene is pretty fascinating. Couple that with extended opportunities and absolutely massive wins – and you know this slot is everyone’s favorite for a reason. The 6th reel doesn’t come cheap, however, but neither do the wins associated with this game, which is greater in all respects if our opinion counts for anything. The 6 matching symbol wins are absolutely epic, so we think the investments are worth the dividends. Basically one of the best games we know and can recommend with reportedly great wins. 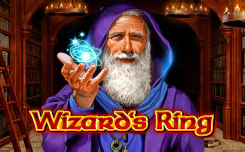 We recommend you aim for the Free Spins firmly and take care of your budget as much as you can. Make sure the game doesn’t eat up all your finances in a few swift goes, because it can, and stay tuned for some of the greatest wins around. This is a very unique and memorable slot. Probably the most memorable of them all. Plenty of bonus features make it one of the most exciting games to play to date. It is one of the most popular slots for a reason. And it will highly llikelystay that way. Novomatic is probably the oldest company ever when it comes to making online games. Created way back in 1980, Novomatic is in charge currently of way over 200 000 slot machines in land-based casinos as well as online slots. The company has offices all over the world. They are very popular in the UK and Europe too and are known for massive payouts, although they may not be technically as great as Microgaming and their like. 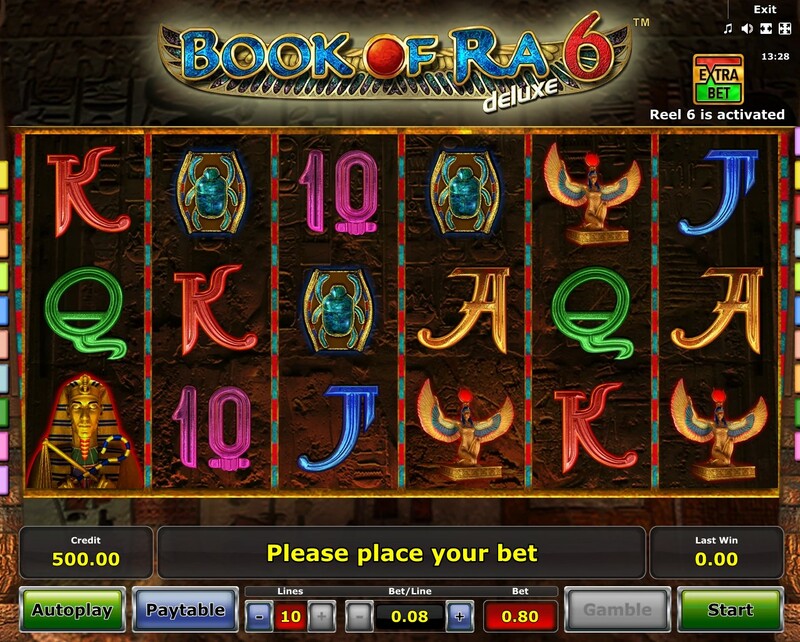 This slot is one of the most radically popular of theiк works, and also one of the most in-demand in the gaming world in general (although you probably already know that). Their products are quite rare considering how long they have been on the market but when they do come out they turn out superb. 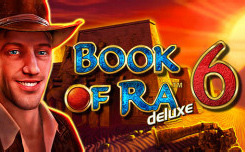 Book of Ra series is easily in the trio of their most wanted games and is considered by some to be simply the best.